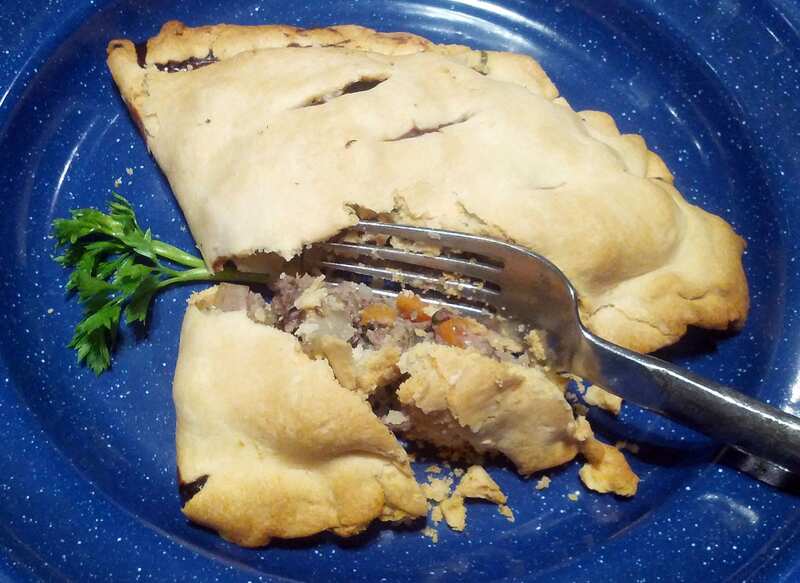 These traditional meat pies from the UK and also the UP of Michigan are a tasty treat as the weather cools down. You can make them with ground goose or venison for a leaner version of the classic dish. Because wild goose and venison meat is so lean, these are best served with some kind of dipping sauce, like a gravy or mayonnaise-ketchup combo. Preheat oven to 350 degrees. Mix meat and all of the vegetables and seasonings together in a bowl. If using homemade pie crust, roll dough into four 6-8 inch circles. If using pre-made refrigerator pie crusts, unroll the dough and cut circles in half. Place dough pieces on a sheet pan or cookie tray. Place about 1 cup of meat mixture on one side of each pie dough piece (optionally add a slice of butter on top) and fold the dough over. Crimp the edge with a fork or your fingers to seal it. Cut slits in the top for steam to escape. Cook for about an hour in the oven, until golden brown. Serves 4. This recipe also looks good, and simply wouldn’t have occurred to me. I have made venison post pie, which would be somewhat similar, but making this recipe with goose is an interesting twist. Goose is such a robust flavor and works well, though it can be a bit dry. I recommend a dipping sauce to serve with it.